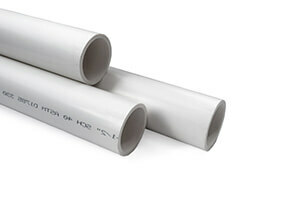 Glued: A glued joint, made using PVC cement, is the most common way of joining metric pvc pipe and fittings together. Our YouTube channel has several instructional videos to help you. 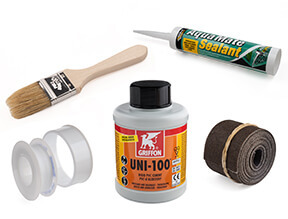 Gluing joint is a simple, quick process. 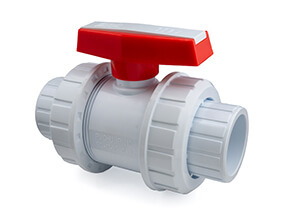 Any metric pressure fitting, whether supplied by us or anyone else, will fit any metric pressure pipe. 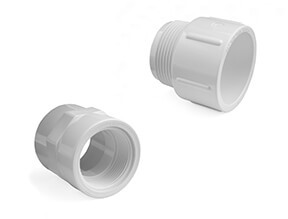 Threaded: Threaded fittings are most commonly, like flanged fittings, used to connect to different materials. 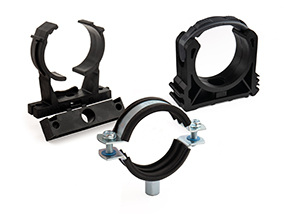 All our metric fittings had standard BSP Parallel threads, which is the most common thread you are likely to come across in the UK and Europe. 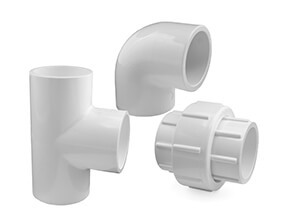 If connecting to metal threads, a reinforced socket is recommended as there is a habit of over-tightening metal threads, which can split the plastic pipe fitting.